ARK: Survival Evolved is a unique take on the survival genre. 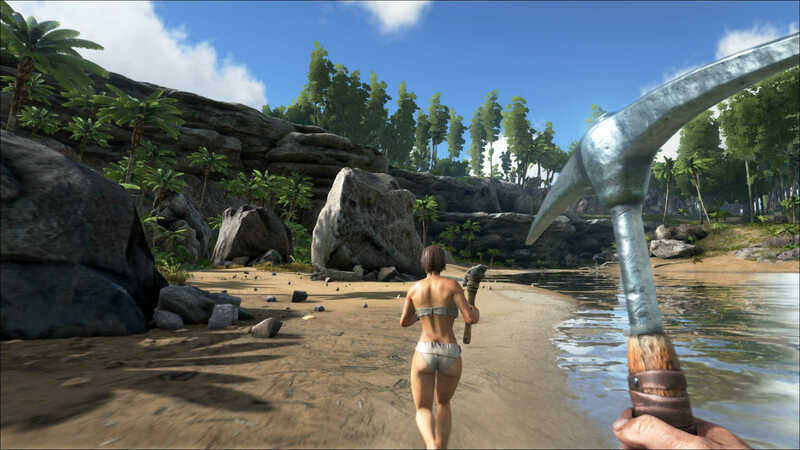 At it’s core, it is an open-world survival game where the player wakes up naked and alone on an island and must hunt, craft and build to survive. 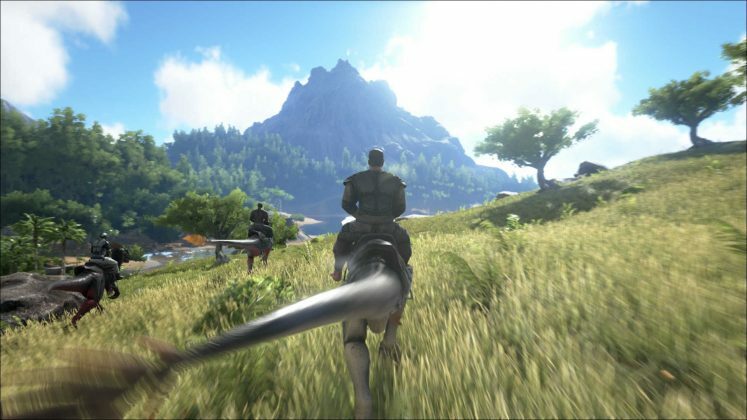 However, ARK: Survival Evolved provides a new challenge for the player. 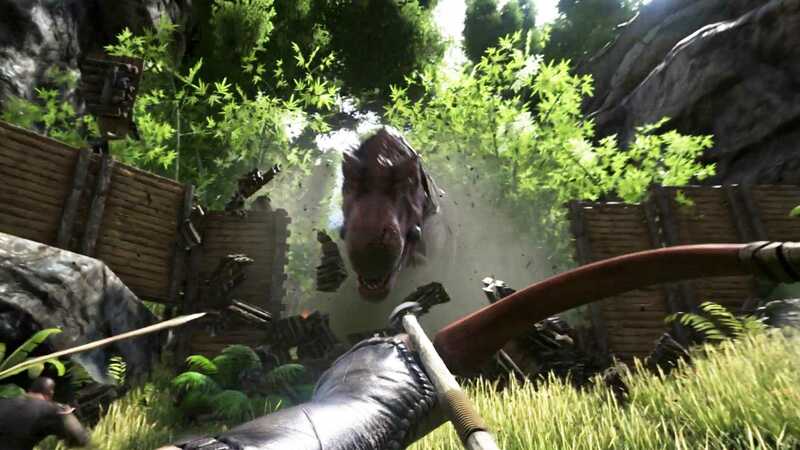 The game features 60 prehistoric species ranging from the formidable Tyrannosaurus Rex to the helpless Dodo. The island blends together a Sci-Fi and primordial setting that provides hours of entertainment and a multitude of surprises. 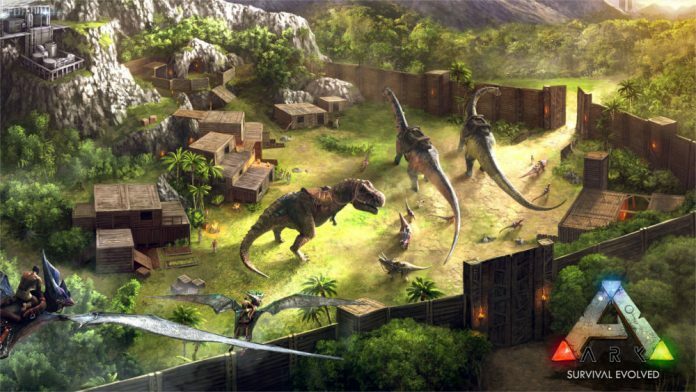 Starving and stranded on the unforgiving shores of the mysterious island ARK, players must used their wit and cunning to kill, tame and conquer the jungles, beaches and grasslands brimming with prehistoric life. 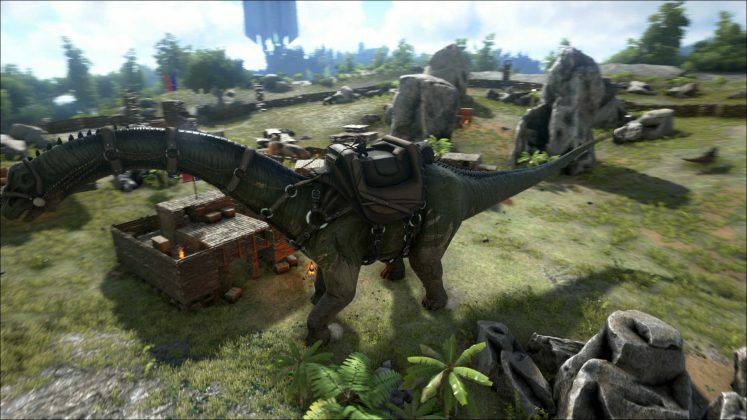 Survivors will have to hunt, harvest resources, grow crops, research technologies, tame dinosaurs and build shelters for storage and safety against the onslaught of online players and gargantuan predators. ARK: Survival Evolved has an open world environment that uses a first-person perspective, with the ability to use a third-person perspective in some instances. The original island is approximately 48 square kilometres in size. 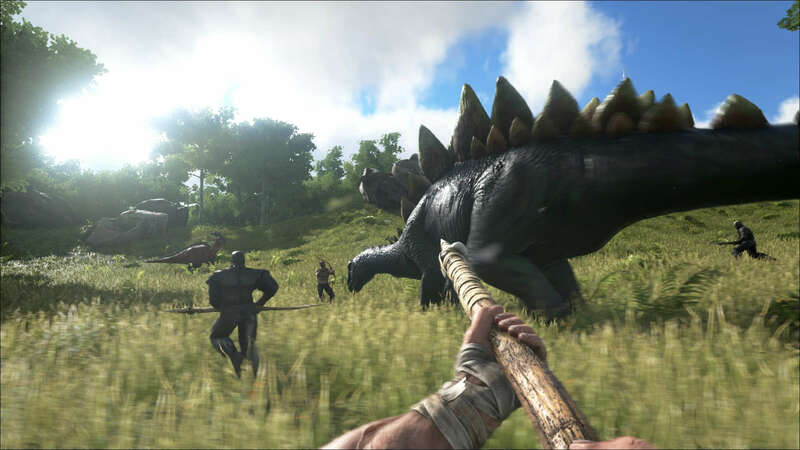 As soon as a player spawns, they must begin foraging for food and resources. Punching trees for wood and thatch, and picking up berries and stones off the ground. As with many survival games, basic resources will allow for the construction of basic tools such as torches, hatchets, spears and pickaxes. Leveling up will provide the player with points to unlock an array of new craftable items in the technology tree. Players can craft a variety of items from bandages and base parts to weapons and armour. 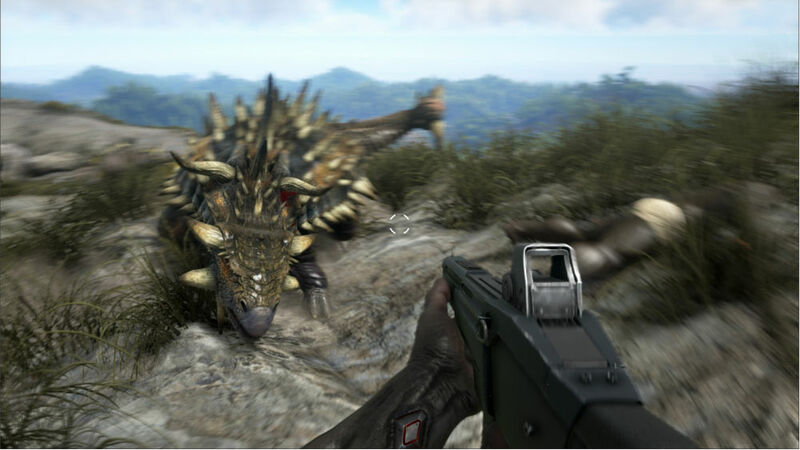 ARK: Survival Evolved isn’t easy; from the get go the survivor must be constantly aware of both his/her surroundings and the character statistics HUD found on the right of the screen. Players must keep an eye or their hunger and thirst levels, as well as their stamina, health and body temperature. Starvation and Dehydration will cause a player’s health to drop. 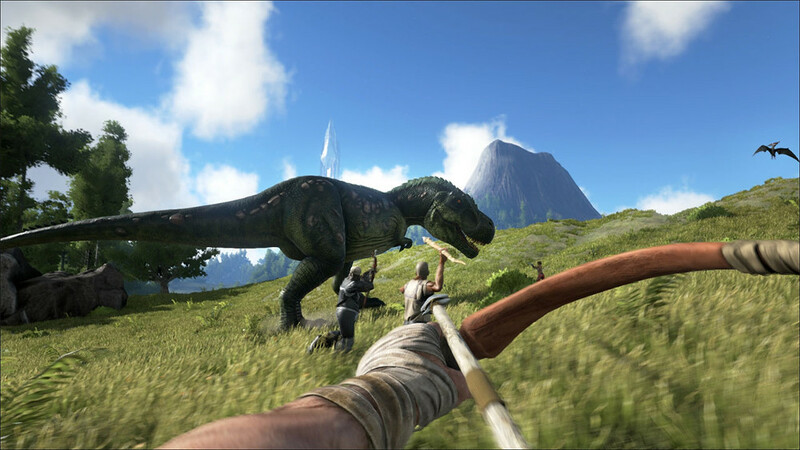 The online aspect completes the survival genre of the game, allowing players to join servers and explore alongside their friends (and enemies). Players can build dwellings together while hunting/crafting for survival. The modding workshop is already active, with content creators from all over the world bringing their ideas and visions into the game. To construct a base, players must obtain structure components, such as doors, windows and floors built with resources found across the island and within character progression. Players have a huge amount of creative freedom when building; but must make sure their base is structurally sound or it is likely to collapse. Once a player has leveled up significantly, they have the option to construct metal bases that are much more durable than their wooden predecessors. As a player progresses through the game, more and more crafting recipes become available. Spears and longbows can be switched out for rifles and machine guns with custom attachments like scopes and flashlights. As stated above, there are over 60 species already in ARK: Survival Evolved, with the developer’s aim to push that over 100. Creatures vary from dinosaurs such as Triceratops and Brontosaurus, to prehistoric mammals like the Mammoth and the Sabre-Tooth Cat. 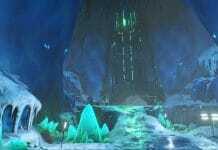 Creatures in the game are all part of a living ecosystem, with its own predator hierarchies. Many species can be tamed by feeding them food once they have been rendered unconscious. Once domesticated, players can utilise the creature’s unique abilities such as flight, speed, increased health or increased damage. While riding most tamed beasts, players are unable to use their personal weapons and must rely on their creature to fight. 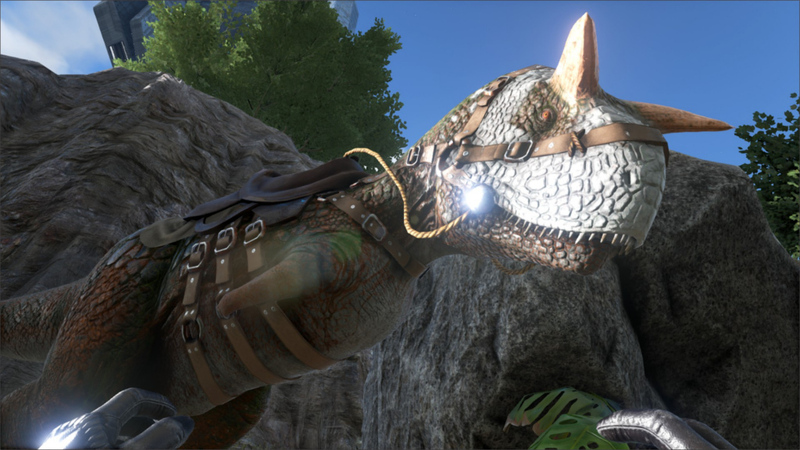 However, some of the larger dinosaurs allow for multiple riders and give the passenger full control of their weapons. 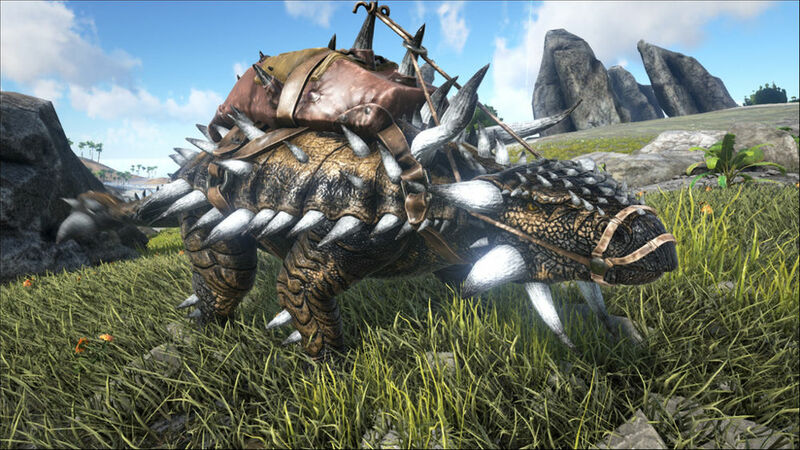 Tamed creatures are also able to carry items, and the player is able to instruct both offensive and defensive commands. Walls won't keep out everything. 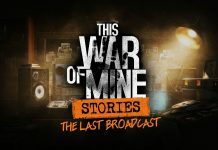 The game has received overwhelmingly positive reviews from the community and has already generated a huge fan-base. 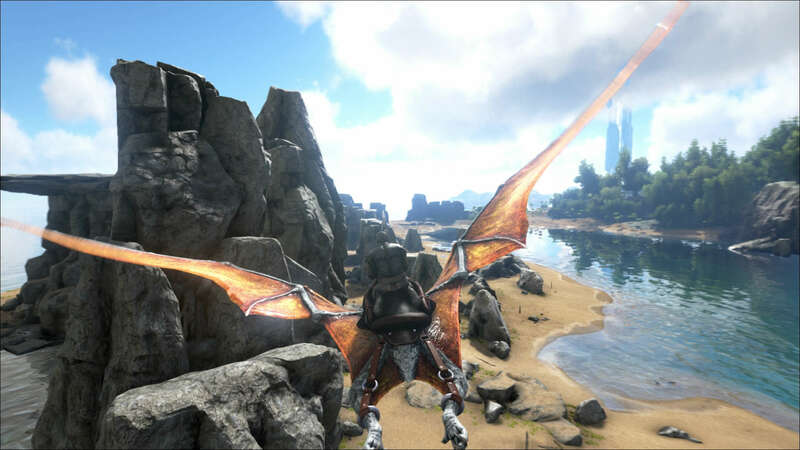 ARK: Survival Evolved went into early access on June 2015 for PC and in December 2015, it came out for Xbox One. The game also got a PS4 early access version in December 2016. 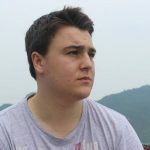 Since then, the developers have been really listening and communicating with the community and have pushed out many updates. 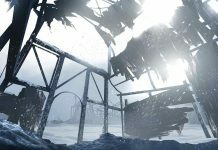 The game is due for a full release in 2017 for PS4, Xbox One and PC. Made in collaboration with Rafay Faheem. Next articleRust – Can you Brave the Radioactive Wasteland?